The fiancé is currently out of the country, so I was free on Friday night. So I did what any guy would do in that situation.....and decided to go out and take pictures. 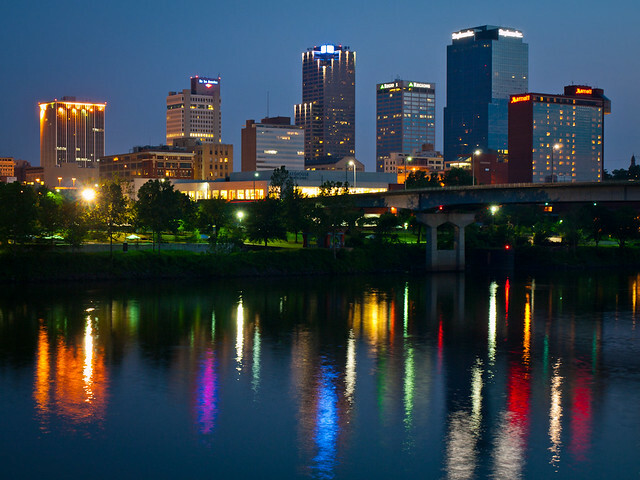 After taking a nap after work, I grabbed the camera and headed towards downtown Little Rock. I eventually ended up at the Junction Bridge. 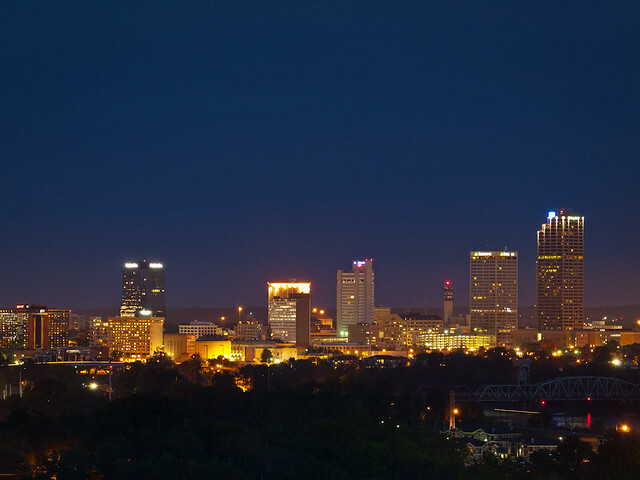 I've taken hundreds of pictures here, but it does have the best view of the Little Rock skyline. The view has changed a bit since the last time I shot from here. The Peabody Hotel has changed names and signage and is now a Marriott. The view will change again in the near future. 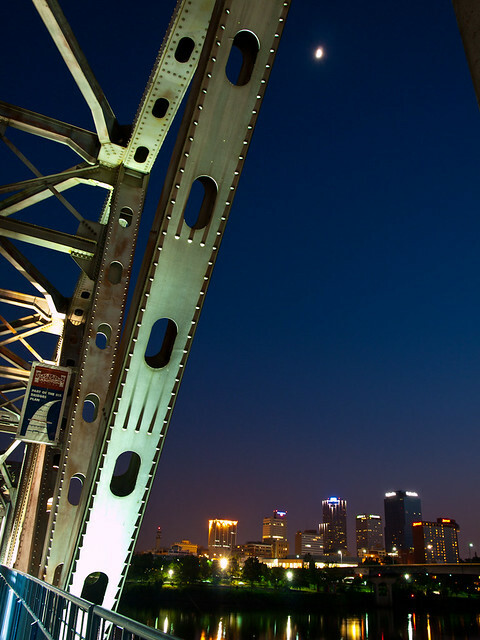 The Main Street Bridge, along with the Junction and Clinton Park Bridges, will be getting a new lighting design. I recently renewed by Pro membership to Flickr (which is "almost certainly the best online photo management and sharing application in the world"). I've been a member since way back in 2004, and have posted over 5,000 photos to the site. So it's interesting (to me, at least) to see which photos have been singled out by the internet people over the years. I do have one photo, with nearly 30,000 views, which is by far my most popular picture online. What is it? Well, I'd like to say that it is a shot of some unknown waterfall that I found one day while out bushwhacking through the wilderness. 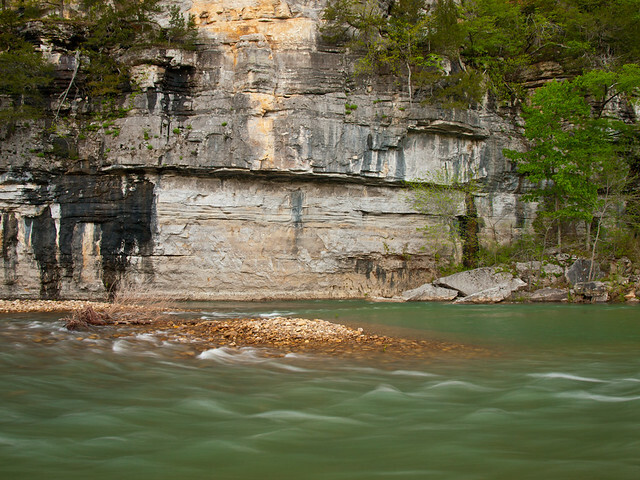 Perhaps a thundering and tall waterfall, taken with the optimal weather and water conditions. Say a shot where a rainbow popped out over the falls, while a bald eagle and an ivory billed woodpecker both flew in and perched next to the falls. But alas, my most popular photo on Flickr is nothing like that at all. As of this writing, this shot has a grand total of 28,834 views. It was taken in 2007, during a road trip out to Arizona. On the way back, we stopped at the Big Texan Steak Ranch in Amarillo. I ordered an 8 ounce sirloin (which is paltry compared to the 82 ounce steak you can get there, which is free if eaten in under an hour). I posted the shot to Flickr, and it was eventually linked in a Yahoo forum. The question asked in the forum is "How big is an 8 oz. steak?," and so now I get anywhere between 30 to 60 views a day on it. 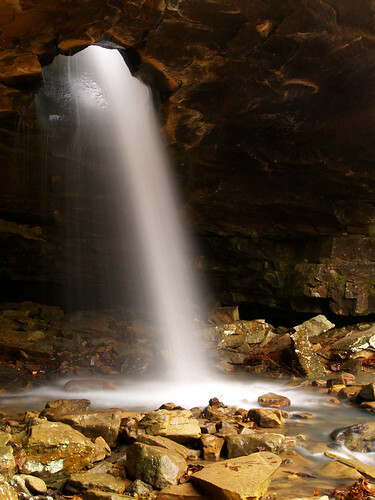 The second most viewed photo on Flickr, with a total of 8,905 views, is of a waterfall - Glory Hole Falls. Although looking at the stats on Flickr, it does seem like people are finding the shot while doing research on glory holes. But not the waterfall kind. But thanks for looking anyways! The other weekend, the fiancé and I drove over to Nashville, Tennessee. 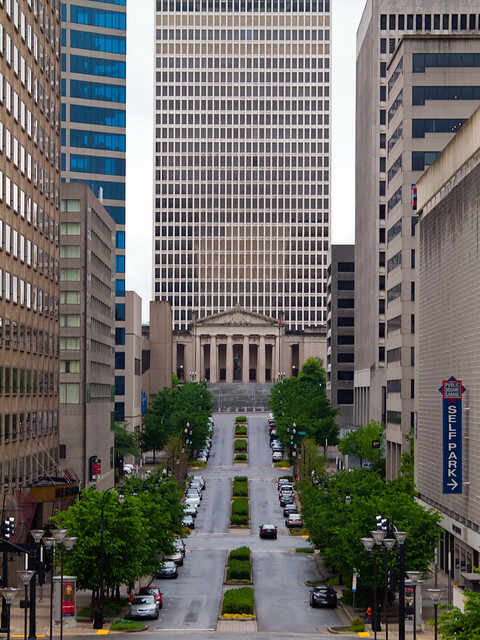 While my visit to Music City didn't include me trying to parlay my elementary school piano lessons into a career in the music biz, it did have some time spent exploring the city. One of the first stops was to visit the Shelby Street Bridge, an old car bridge built in 1906 that was converted into a pedestrian bridge in 2003. 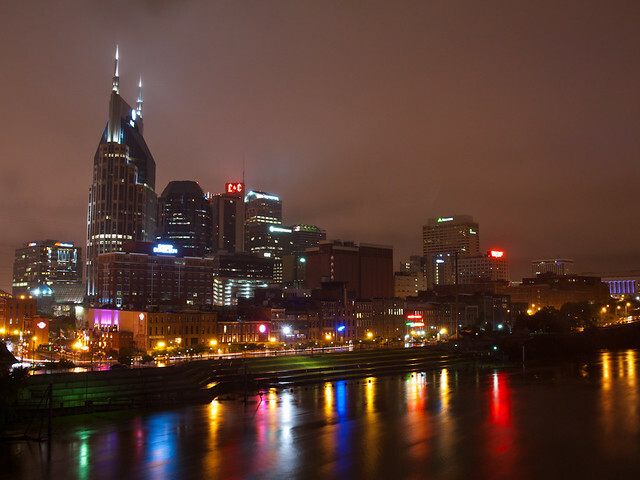 The views of downtown Nashville are great from the bridge, but it was pouring down rain while we were there. This shot is the one with the fewest amounts of raindrops on the lens. The next day, we headed out to see more of Nashville. I had never been to Nashville (besides driving through while in junior high). 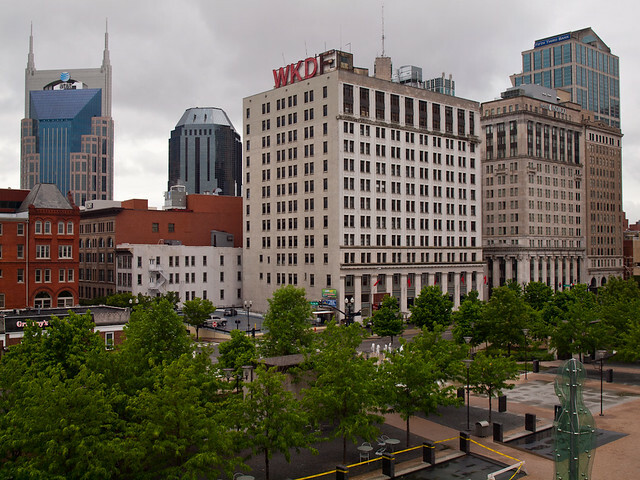 Nashville is a great city, and we headed back to downtown on a rainy afternoon. 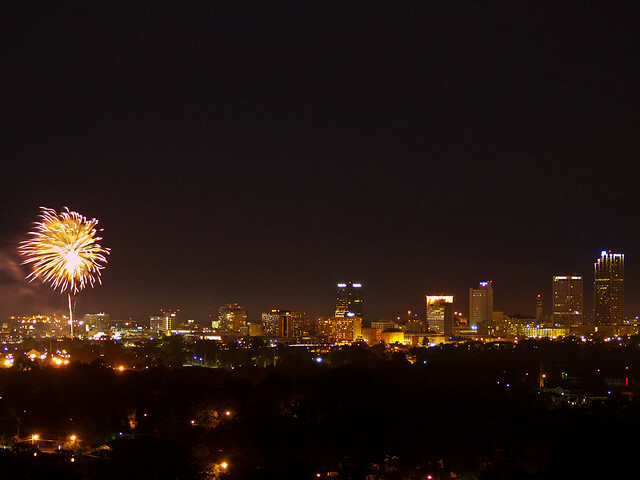 These were all taken at Public Square Park, which provides a nifty overlook on downtown. I believe this is looking down Deaderick Street towards the War Memorial Auditorium. 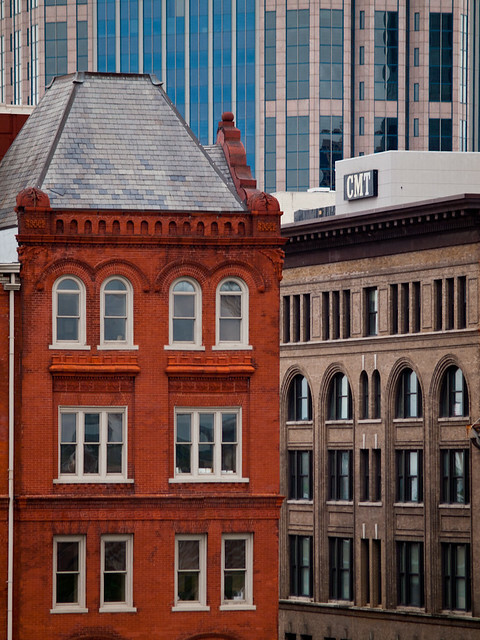 And another shot of downtown Nashville, which wouldn't be complete without having something with CMT in it. The next stop on the tour of Nashville took us to the Tennessee State Capitol. 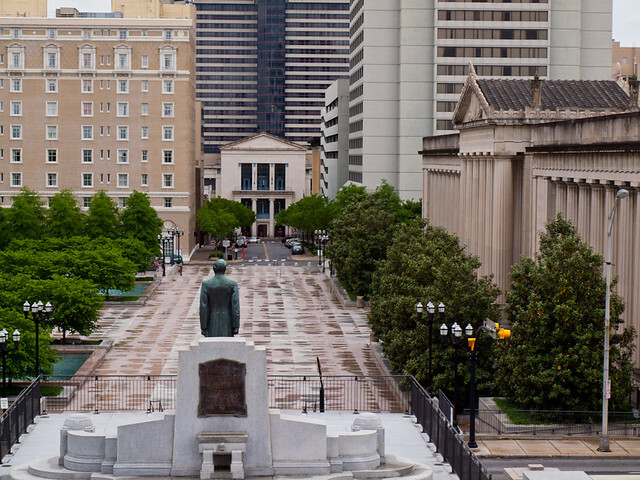 This is the capitol building with a statue of Andrew Jackson. The Tennessee State Capitol was completed in 1859, and is a grand building. And as someone who grew up in the capitol city of another state, I've been nerdily interested in seeing other state's capitols. 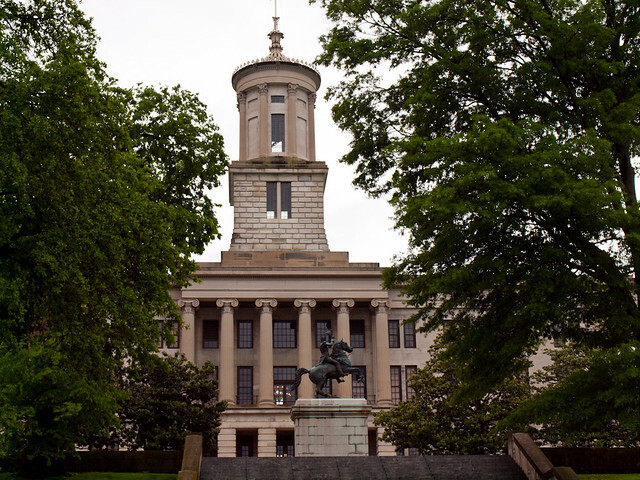 I was interested to read that Tennessee is one of only eleven states that have a capitol building without a dome. But I was displeased to see that the Tennessee capitol is locked up tighter than Fort Knox on weekends. Especially, if say, you are a visitor in desperate need of going inside the capitol to perhaps visit a bathroom. Unfortunately for me, and my bladder, the building was locked up tight. But we walked the grounds to take a few pictures. I was excited to take a few pictures of this statue, since it was in honor of someone named Cormack. Until upon closer inspection, it was actually in honor of a Edward W. Carmack. There was a nice view of the War Memorial Auditorium again. So last Saturday was perfect weather for waterfalls: rainy and foggy. And I was even up in the Ozarks, but alas not out in the woods. Instead, my girlfriend and I were up in Fayetteville visiting my brother. 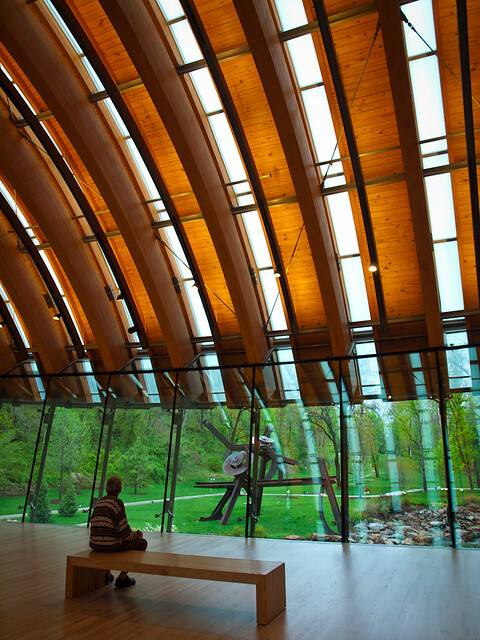 On Saturday afternoon, we drove up to Bentonville to visit the Crystal Bridges Museum of American Art. There is a temporary exhibit with Norman Rockwell paintings there that we wanted to see. But the line was extremely long, snaking through the lobby of the museum. A worker there told us that we could try to see it, but with the wait, we probably wouldn't make it before the museum closed for the day. 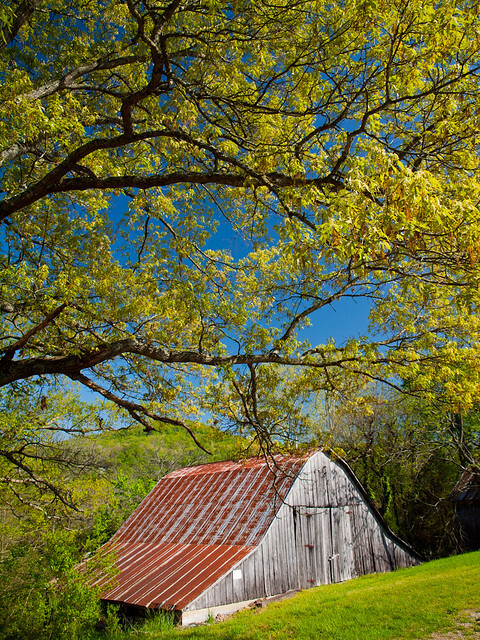 Boxley Valley is a historic district within the Buffalo National River, filled with numerous old barns and homes. 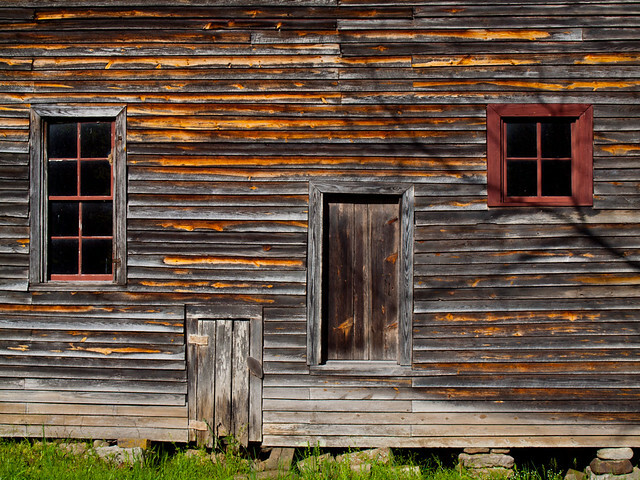 One of the stops we made was the old Boxley Mill. 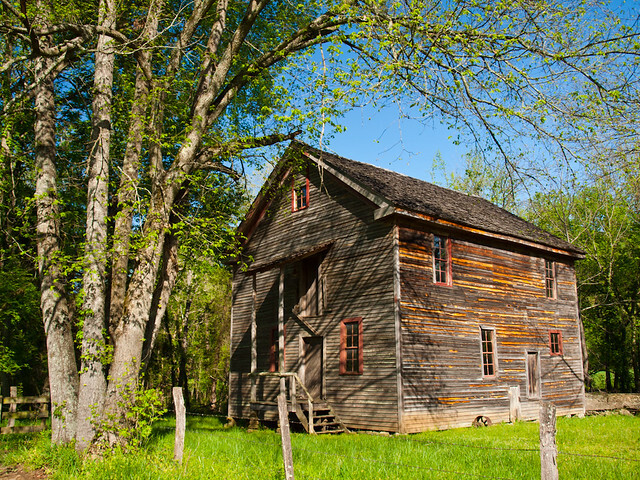 The mill was built in 1870, replacing an earlier mill that was destroyed during the Civil War. The old mill operated until 1950. 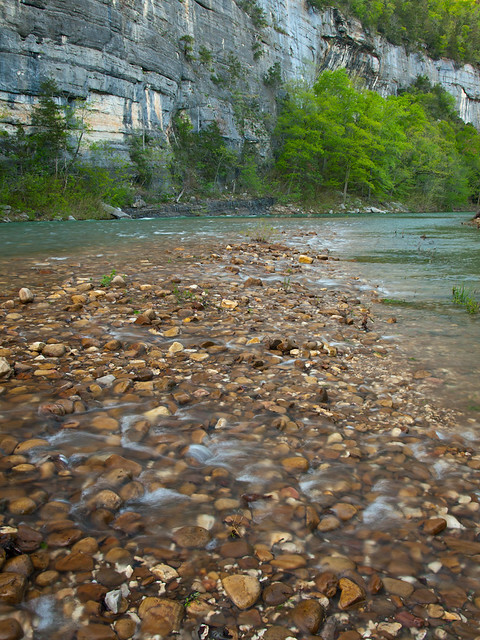 From Boxley, we headed east to Steele Creek, another favorite spot along the Buffalo River. It was still really sunny, so the light was still a bit harsh. 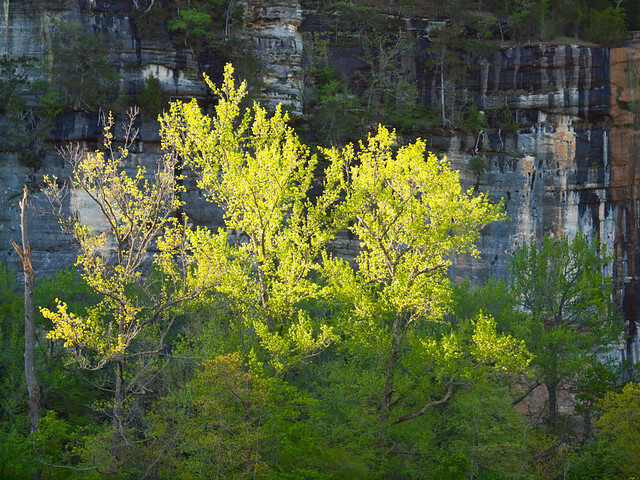 But it was getting late in the day, and the I stopped the car to get this shot of the light hitting this tree along the river. 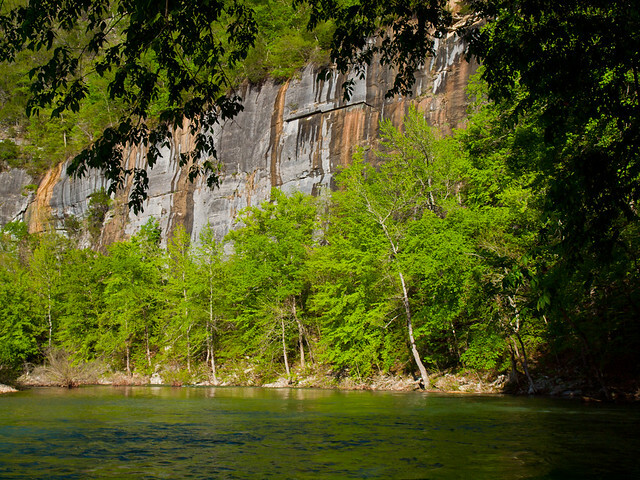 In the background is Roark Bluff. It was about this time I was starting to get a little nervous. I had an ulterior motive in making a visit to Steele Creek. Besides hopefully taking a few pictures, I had the plan on proposing to my girlfriend there. It is a beautiful area, and I knew it would provide a perfect background. I just had to worry about not messing it up. So we walked past the campground and followed a trail down to the river. 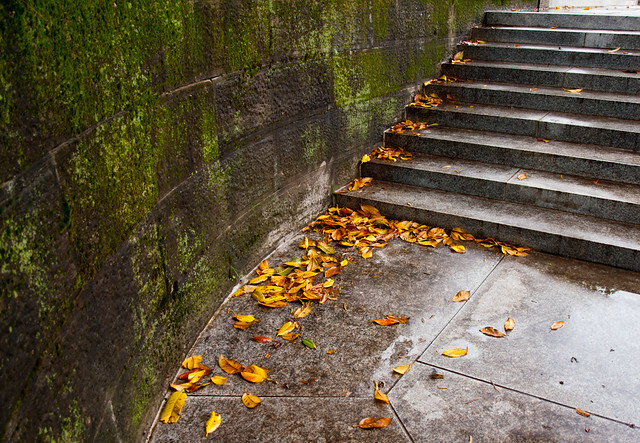 My heart was beating fast, not from the walk along the river, but from nervousness. But I found a good spot on the river, and popped the question. And she said yes!